Originally published in 1991. 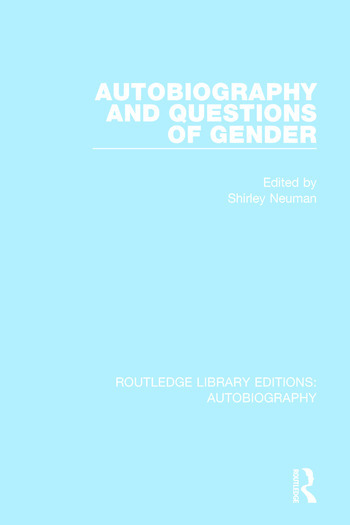 Addressing the ways in which the ideology of gender and its social construction determine autobiographical self-representations, the essays here consider several women’s works in the light of the social and historical conditions which enabled their production. Some examine diaries as a feminine form and ask about the ways in which thematic content such as childbirth can or cannot be represented in diaries and public discourse at different historical junctures. Others show the pressures of gender roles and how they have led to new genres in which self-representation is often a refraction of the representation of others. With the tools of gender theory, the representation of hermaphroditism, masculinity and male bodies is analysed and the ways in which gender intersects with racial, sexual and class ideologies is also looked at, in seeing autobiography as a form of agency in self-construction.